Some people are determined to go against the natural pace of human relationship. 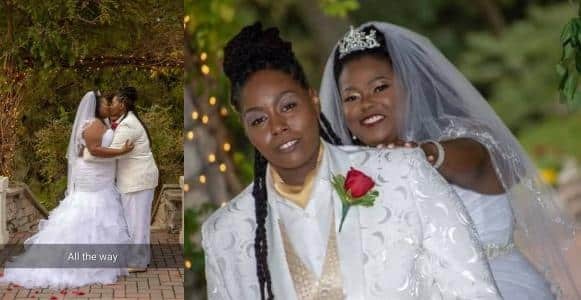 A Nigerian former primary school teacher by name, Olorogbe Faith, has married her female lover in South Africa. 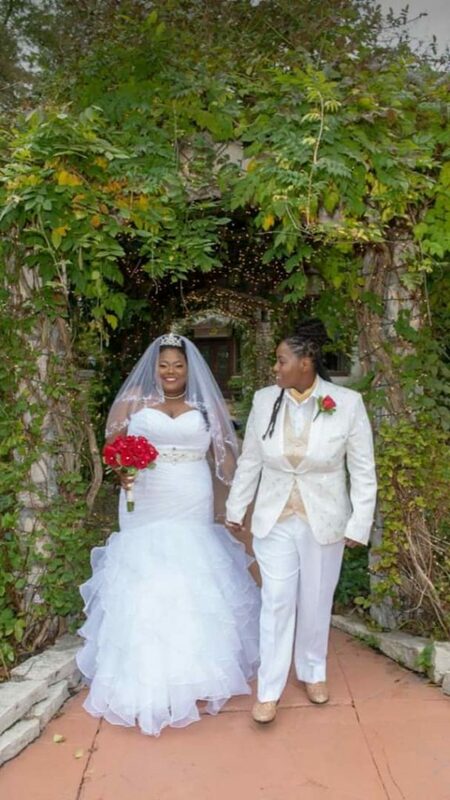 A source who congratulated the newly wed, revealed that Miss Faith who is from Nigeria where such is not allowed, moved to SA to tie the knot with a fellow woman. According to Nigerian law, same s*x marriage remains prohibited and apparently Olorogbe is aware.